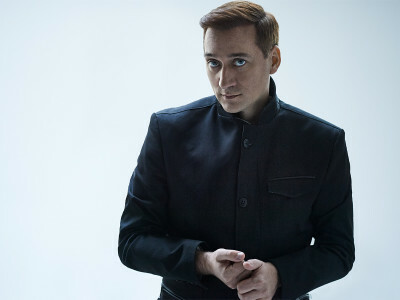 From discovering electronic music on the radio in his mother’s kitchen to headlining clubs and festivals around the world, Paul van Dyk has become known not just as a forefather of trance, but as an icon of dance culture. Growing up in Communist East Germany before the fall of the Berlin wall, one of van Dyk’s irst DJ gigs was at then‐newly opened club and future landmark Tresor, which was a good omen of achievements to come. In 1999, he launched a residency at Cream Amnesia in the world party capital of Ibiza, which 17 years later is still going strong as one of the longest‐running residencies in clubbing history, and in 2008, his New Year’s Eve show in Rio de Janeiro drew a then‐record‐setting crowd of 1.3 million. He has been voted the world’s No.1 DJ—twice. With eight studio albums and countless singles and remixes to his name, Van Dyk shines just as brightly as a producer. His 1994 release “For An Angel” is regarded by Mixmag as one of the greatest dance tracks of all time, and his third LP, ‘Relections,’ was nominated for a Grammy. Van Dyk has remixed some of electronic music’s biggest names—Deep Dish, Faithless, and Underworld, to name a few—in addition to pop music icons including Madonna, Britney Spears, and U2; and his music can be heard in ilms such as ‘The Dark Knight,’ ‘Sisterhood of the Traveling Pants,’ and ‘Zurdo’ (the latter for which he won a Mexican Oscar), as well as for commercials and video games. In 2017, he released his latest album, ‘From Then On,’ to major press acclaim. Over the course of his decades‐long career, van Dyk has garnered many awards and accolades, including multiple IDMAs, the title of Mixmag’s Man of the Year in 1999, and Mexico’s Lunas del Auditorio award for Best Electronic Music Live Artist. He has also been recognized for his work in anti‐war and voting movements such as Rock the Vote, receiving Berlin’s Medal of Honor and MTV’s Chiuku award.